Law Web: Whether comparative advertisement is permissible in law? 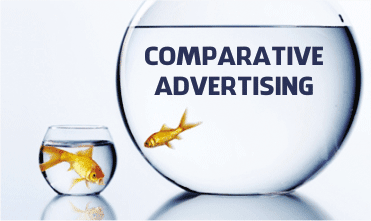 Whether comparative advertisement is permissible in law? The Division Bench of this Court in Pepsi Co. Inc. (supra) held that a tradesman by comparison cannot slander or defame the goods of the competitor nor call them bad or inferior. Thus comparative advertising is permissible as long as while comparing own with rival/competitors product, the latter's product is not derogated, discredited, disgraced, though while comparing some amount of ‘showing down’ is implicit; however the same should be within the confines of De Beers Abrasive supra and should not be of a slighting or ‘rubbishing’ nature. Decided on February 17, 2017. Rajiv Sahai Endlaw, J.:— All the three suits, between the same two parties and filed in quick succession, (may be by way of counter-blast and rejoinder!) claim disparagement of the goods of the plaintiff in the suit, by the defendant in the suit in Television Commercial (TVC) of its goods and seek the relief of injunction and damages. 2. Both the parties to the suit namely Procter & Gamble Home Products Pvt. Ltd. (P&G) and Hindustan Unilever Ltd. (HUL) are manufacturers inter alia of shampoo. These suits are concerned with shampoo sold by each in sachet (as distinct from shampoo sold in bottles or containers) and during the hearing, the counsels were ad idem that sale in sachets constitutes 70% of the total sale of shampoos. 3. These suits concern the ‘Clinic Plus’ and ‘Dove’ brands of HUL and ‘Head & Shoulders Anti-dandruff Shampoo’ (Head & Shoulders) brand of P&G. 4. It is not in dispute that the market price of a sachet of Clinic Plus is Rs. 1/- and the market price of a sachet of Head & Shoulders is Rs. 3/-. 5. The advertisement impugned in each of the suit indisputably compares the two products and though does not name the product of the other but, besides showing the sachet of the advertiser's own product, shows sachet of the other's product. The counsels did not dispute such deceptive similarity, making the viewers aware of the identity of the product with which the advertiser's shampoo is being compared. 6. The counsels also did not dispute that Head & Shoulders is the “leading anti-dandruff shampoo” and that Clinic Plus also has an anti-dandruff shampoo but which is sold in bottles/containers—not in sachets. 7. The TVC in Hindi language of Clinic Plus impugned in CS(OS) No. 459/2016 has the female protagonist thereof stating “Mummy se mili hai ek sansani news. Clinic Plus mazbooti de leading anti-dandruff shampoo se behtar. Teen rupaye wale anti-dandruff shampoo se baal zyada tootte hain. Clinic Plus baalon ko deta hai teen guna zyada mazbooti…bas ek rupaye mein. Mazboot baal bas ek rupaye mein”. The TVC, in disclaimer at the bottom thereof informs the claim therein to be based on laboratory test. 8. CS(OS) No. 463/2016 impugns five TVCs of P&G, also in Hindi language, of its Head & Shoulders shampoo. The female protagonist in the first TVC states “Kya aapka shampoo dandruff pe asardaar hai? Aiye dekhte hain.. Nahi….Kyunki aapka ek rupaye waala shampoo dandruff nahin nikalta, ek, do, teen washes main bhi… Head & Shoulders use nikalta hain, sirf ek wash main. Apnaye sahi shampoo. Head & Shoulders”. The second TVC claims with respect to Head & Shoulders “Sirf naya nahi, sirf behtar hi nahi, yeh hain best ever Head & Shoulders. Ek rupaye wala shampoo, dandruff nahi hatata, teen wash main bhi. Head & Shoulders sirf ek wash main use mita de. Naya Head & Shoulders. Dandruff nahi chalega”. The third TVC has the Film Star Ranveer Singh telling another man in the TVC “Oh Dude, Dandruff nahi chalega. Best ever Head & Shoulders. Teen ke mukable, ek hi wash main zyaada dandruff hataye. Kyunki dandruff nahi chalega”. The fourth TVC inter alia has the Film Star Ranveer Singh saying “All you majnus, listen up. Laila ko patana hain to dandruff nahin chalega. Chalega to bas best ever Head & Shoulders. Teen ke mukable ek hi wash me zyaada dandruff mitaye. Best ever Head & Shoulders”. The fifth TVC, inter alia has a woman telling a man “something between the two of us. Do you also feel something something..aiyeo dandruff. No need for dandruff between us. Presenting the best ever Head & Shoulders. When compared to three washes, with just one wash removes more dandruff. Bilkul nahi chalega dandruff”. The suit also impugns two print advertisements using identical language. 9. The TVC in Bengali language of HUL impugned in CS(OS) No. 507/2016 has voice over saying “do you feel that anti-dandruff shampoos can damage your hair. Dove Dandruff Care is different. With powerful ZPTO and 1/4th moisturising milk. It not only removes dandruff. It also gives amazing damage repair in comparison to the leading anti-dandruff shampoo. Get healthy and strong hair, there will be no dandruff and no worries of damage”. The disclaimer at the bottom informs the viewers that the results are as per the laboratory test. 10. Vide ad-interim order dated 9th September, 2016 in CS(OS) No. 459/2016, the defendant HUL therein was directed to suspend airing the TVC impugned therein. There are no interim orders in the other two suits. In fact CS(OS) No. 507/2016 came up first when arguments for interim relief were underway in the other two suits and it was directed that the pleadings in the other two suits would be treated as pleadings in CS(OS) No. 507/2016 also. 11. HUL, prior to instituting CS(OS) No. 463/2016 had complained with respect to initial TVCs impugned therein to Advertising Standards Council of India (ASCI) which rejected the said complaint. It was the contention of the senior counsel for P&G that HUL was thus not entitled to maintain the suit. Finding thus has to be returned on the said aspect as well. 12. The senior counsel for P&G on this aspect contended that ASCI has technical experts and once ASCI has been approached and has rejected the complaint, the Civil Court should refrain from exercising jurisdiction. It was further contended that if the complainant is aggrieved by the rejection/dismissal of the complaint by ASCI, the further remedies of the complainant are by impugning the said order of ASCI and not by thereafter approaching the Civil Court. It was highlighted that HUL, in CS(OS) No. 463/2016, has not impleaded ASCI and not impugned the decision of ASCI. Attention was invited to Reckit Benckiser (India) Limited v. Naga Limited (2003) 68 DRJ 441. It was further the contention of the senior counsel for P&G that after approaching ASCI, no second round is available before the Court and CS(OS) No. 463/2016 has been filed only as a counter-blast to CS(OS) No. 459/2016. Per contra the senior counsel for HUL referred to Hindustan Unilever Limited v. Reckitt Benckiser (India) Limited holding that there being no specific provision barring the jurisdiction of the Civil Court to entertain the suit. the remedy even if available before the ASCI cannot be a bar to the suit. It was further argued that the remedy before ASCI is not an alternative remedy and only if the jurisdiction of a Civil Court is barred within the meaning of Section 9 of Code of Civil Procedure, 1908 (CPC), can the jurisdiction of the Civil Court be held to be barred; that ASCI has no power to injunct the advertisement or to award damages. 13. I have considered the rival contentions. ASCI was established in 1985 as a company under Section 25 of the Indian Companies Act, 1956 and with advertisers, media, advertising agencies and other professional/ancillary services, industries connected with advertising as its sponsors and with the purpose of ‘self-regulating the advertisements’ and to ensure that the advertisements conform to the Code of self-regulation. ‘The Code for self-regulation in Advertising’ (‘The Code’) of ASCI has been drawn up by people in the profession and industries in or connected with advertising, in consultation with representatives of people affected by advertising and has been accepted by individuals, corporate bodies and associations engaged in or otherwise concerned with the practice of advertising. The Code drawn up by ASCI for self-regulation in advertising in Chapter IV titled “Fair in Competition” thereofinter alia provides (i) the advertisements should observe fairness in competition such that the consumer's need to be informed on choice in the marketplace and the canons of generally accepted competitive behaviour in business are both served; (ii) advertisements containing comparisons with other manufacturers or suppliers or with other products including those where a competitor is named, are permissible in the interest of vigorous competition and public enlightenment, provided: (a) it is clear what aspects of the advertiser's product are being compared with what aspects of the competitor's product; (b) the subject matter of comparison is not chosen in such a way as to confer an artificial advantage upon the advertiser or so as to suggest that a better bargain is offered than is truly the case; (c) the comparisons are factual, accurate and capable of substantiation; (d) there is no likelihood of the consumer being misled as a result of the comparison, whether about the product advertised or that with which it is compared; (e) the advertisement does not unfairly denigrate, attack or discredit other products, advertisers or advertisements directly or by implication; and, (iii) advertisements shall not make unjustifiable use of the name or initials of any other firm, company or institution, nor take unfair advantage of the goodwill attached to the trademark or symbol of another firm or its product or the goodwill acquired by its advertising campaign. 14. ASCI thus has been established as a self regulatory body in the field of advertising and cannot be said to have been established for dispute resolution or for resolution of claims such as those made by the plaintiff in the suits against the defendant. ASCI though has a Complaints Committee but only to ‘self regulate’. The principles applicable to grant of injunction contained in Order XXXIX Rules 1 & 2 of CPC and the Specific Relief Act, 1963 though provide that injunctive relief shall not be granted when equally efficacious alternative remedy is available but the remedy available before ASCI cannot be said to be equally efficacious remedy. ASCI, even if finds merit in complaint, can only recommend to the advertiser to remove the advertisement but has no mechanism to compel removal of the advertisement or to grant any interim relief or to award damages. Moreover, membership of ASCI is not mandatory for all concerned. It was held in Century Plyboards (India) Ltd. v. The Advertising Standards Council of India that the rules and machinery of ASCI are designed to complement legal controls, not to usurp or replace them. To the same effect is Dish TV India Ltd. v. Advertising Standards Council of India also cited by the counsels for HUL. 15. The Cable Television Networks (Regulation) Act, 1995 (CTN Act) enacted to regulate the operation of cable television networks and for matters connected therewith, in Section 6 titled “Advertisement Code” prohibits transmitting or re-transmitting through a cable service of any advertisement unless such advertisement is in conformity with the prescribed Advertisement Code. Section 11 of the CTN Act provides for seizure of the equipment of any cable operator found violating inter aliaSection 6 of the Act and Section 19 of the CTN Act empowers the Government to prohibit the cable operator from transmitting or re-transmitting any advertisement not in conformity with the prescribed Advertisement Code. Section 22 of the CTN Act empowers the Central Government to by notification in the Official Gazette make rules inter alia for the Advertisement Code. The Cable Television Networks Rules, 1994 (CTN Rules) framed in exercise of said power, under Rule 7 titled “Advertising Code”, while providing that advertisements carried in cable service shall be so designed as to conform to the laws of the country and should not offend morality, decency and religious susceptibilities of the subscribers, vide sub-rule (9) thereof provides that no advertisement which violates The Code for self regulation in Advertising, as adopted by the ASCI from time to time for public exhibition in India, shall be carried in the cable service. 16. However the aforesaid statutory flavour given to The Code would also in my view not bar the jurisdiction of the Civil Court to entertain CS(OS) No. 463/2016 as filed by HUL, even after HUL approached ASCI and ASCI did not find any merit in the complaint of HUL. I say so because the remedy available before ASCI is distinct from that available before the Civil Court. ASCI, if finds any merit in the complaint with respect to any advertisement, can only make a recommendation for rectification thereof and if the recommendation remains un-complied, forward the same to the Authorised Officer under the CTN Act and which Officer is empowered to then prohibit the broadcast of the subject advertisement. The said route though may be also available will not bar a person aggrieved from the advertisement, from approaching the Civil Court and similarly the dismissal of complaint by ASCI, though may be a relevant fact in the proceeding before the Civil Court with respect to the same advertisement, but would not bar the Court from independently looking at the grievance. 17. Disparagement of goods/products of another in own advertisement is but a facet of the law of defamation and with respect whereto the submission, that it may not even call for a civil action in the absence of codified law, was rejected recently inSubramanian Swamy v. Union of India (2016) 7 SCC 221. It was held that a civil action for a wrong for which there is no codified law in India, common law rights can be taken recourse of under Section 9 of CPC unless there is a specific statutory bar in that regard. 18. I thus reject the objection of counsel for P&G to the maintainability of CS(OS) No. 463/2016 on the ground of HUL having first approached ASCI and ASCI having not found any merit in the complaint of the HUL. 19. That brings me to the meat of the suits i.e. whether the advertisement/s of the defendant impugned in each of the suits is disparaging of the product of the plaintiff therein. 20. The advertisement impugned in CS(OS) No. 459/2016 is argued to be rubbishing and showing down Head & Shoulders by claiming that from use thereof “baal zayada tootte hain” and by claiming that Clinic Plus “baalon ko deta hai teen guna zayada mazbooti”. It is further argued that the disclaimer at the bottom of the advertisement, of the claim therein being based on laboratory test, is of no avail and in any case the laboratory test relied upon by the Head & Shoulders is controverted. 21. Per contra, it is the contention of the counsels for HUL that the advertisement impugned in CS(OS) No. 459/2016 is nothing but comparative and the claim therein is correct and truthful on the basis of laboratory tests got done. It is contended that the advertisement would have been disparaging if had claimed that “teen rupaye wale anti-dandruff shampoo baalon ke liye haanikarak hai” or if had claimed “teen rupaye wale anti-dandruff shampoo kharaab or beekar hai” or if had claimed “kharaab teen rupaye wale anti-dandruff shampoo ke istemaal se baal zyada se zyada tutte hain”. It is further contended that it is not as if HUL in the advertisement is not claiming any damage/breakage whatsoever to the hair from use of Clinic Plus; in the advertisement, the comb against sachet of Clinic Plus is also shown as having broken hair though less than that in the comb against the sachet resembling that of Head & Shoulders. It is yet further contended (a) that the HUL has compared only with the anti-dandruff shampoo of P&G though P&G has several other brands also; (b) that in the advertisement, HUL only calls Clinic Plus superior to Head & Shoulders in the context of hair loss/hair breakage and such claim is truthful and based on the report obtained from the laboratory; (c) that on the contrary, P&G in its advertisements impugned in CS(OS) No. 463/2016 has compared their anti-dandruff shampoo with Clinic Plus which does not claim to be anti-dandruff; if at all P&G wanted to compare Head & Shoulders qua dandruff, it should have compared it with the anti-dandruff shampoo of Clinic Plus and which is sold in bottles/containers and not in sachets; (d) that the same amounts to comparing apples with oranges; (e) that P&G, while instituting CS(OS) No. 459/2016 did not disclose its own advertisements impugned in CS(OS) No. 463/2016 and with respect whereto HUL, prior to institution of CS(OS) No. 459/2016 had instituted complaint before ASCI and on this ground only P&G is not entitled to any equitable relief in CS(OS) No. 459/2016 also; and, (f) that the need for advertisement impugned in CS(OS) No. 459/2016 was felt to educate the consumers in view of the advertisements of P&G impugned in CS(OS) No. 463/2016. 22. The counsels for P&G in rejoinder contended that use of the words “zyada tootte hain” amounts to negative speech which has been held to be disparaging. It is further contended (i) that the consumers of sachet market are more swayed by advertisements and the report of the Laboratory relied upon by P&G is not credible; and, (ii) that telling consumers that from use of Head & Shoulders “baal zyada tootte hain” amounts to ‘warning’ the consumers against use of Head & Shoulders and which amounts to disparagement and is beyond the scope of comparative advertising. 23. The aforesaid would also give the flavour of the arguments with respect to the advertisements impugned in CS(OS) Nos. 463/2016 and 507/2016. The mainstay of the counsels for HUL with respect to advertisements in CS(OS) No. 463/2016, as aforesaid is that P&G by not comparing Head & Shoulders anti-dandruff shampoo with anti-dandruff brand sold in bottles of Clinic Plus but with Clinic Plus shampoo sold in sachets is comparing oranges with apples and which is disparagement. Per contra, it is the contention of the counsels for P&G that once HUL admits that Head & Shoulders is a specialist anti-dandruff shampoo, the advertisements impugned in CS(OS) No. 463/2016 are only to educate the public that ordinary shampoos do not remove dandruff and for removal of dandruff a specialist anti-dandruff shampoo has to be used. HUL counters by contending that the advertisements convey that though a non-specialist shampoo as Clinic Plus in sachets is also supposed to remove dandruff but does not, not even in three washes and which is disparaging. It was argued (a) that if the intent of the advertisement had been as claimed, P&G would have claimed that a specialist anti-dandruff shampoo is required for removing dandruff; (b) that the advertisements of P&G are targeted against the one rupee sachet of Clinic Plus which is the largest selling shampoo; (c) that calling Clinic Plus shampoo as “ek rupaye wala shampoo” vis-à-vis Head & Shoulders' “teen rupaye wala shampoo” is as good as calling Clinic Plus ‘cheap’; (d) that there has been slump in sales of Clinic Plus's one rupee sachet since the airing of the advertisements impugned in CS(OS) No. 463/2016; and, (e) that comparison, to qualify as comparative advertising, has to be ‘fair’. 24. Mr. Rajiv Nayar, Senior Advocate for P&G, during his arguments referred to i)Karamchand Appliances Pvt. Ltd. v. Adhikari Brothers 2005 SCC OnLine Del 1427, ii)Reckitt & Colman of India Ltd. v. M.P. Ramchandran 1999 PTC (19) 741, iii) Dabur India Ltd. v. Colortek Meghalaya Pvt. Ltd. 2010 (167) DLT 278 (DB), iv) Marico Ltd. v.Adani Wilmar Ltd. 2013 (199) DLT 663, v) Colgate Palmolive Company v. Hindustan Unilever Ltd. 206 (2014) DLT 329 (DB), vi) Godrej Sara Lee Ltd. v. Reckitt Benckiser (I) Ltd. (2006) 128 DLT 81, vii) Philips India Pvt. Ltd. v. Shree Sant Kripa Appliances Pvt. Ltd. (2015) 217 DLT 429, viii) Dabur India Ltd. v. Emami Ltd. 2004 (29) PTC 1 (Del), ix)Pepsi Co., Inc. v. Hindustan Coca Cola Ltd. 2003 (27) PTC 305 (Del) (DB), and, x)Glaxosmithkline Consumer Healthcare Ltd. v. Heinz India (P) Limited (2009) 156 DLT 330, xi) Havells India Ltd. v. Amritanshu Khaitan 2015 (62) PTC 64 (Del), xii) De Beers Abrasive Products Ltd. v. International General Electric Company of New York Ltd.(1975) FSR 323. 25. Mr. Sandeep Sethi, Senior Advocate also appearing for P&G, during his arguments referred to Montgomery Ward & Co. v. United Retail, Wholesale & Department Store Employees of America 79 N.E. 2d. 46. 26. Mr. Darpan Wadhwa, Advocate also appearing for P&G, during the arguments referred to Hindustan Unilever Ltd. v. Reckitt Benckiser (India) Ltd. 2014 (57) PTC 78 (Cal). 27. Mr. Jayant Bhushan, Senior Advocate appearing for HUL, during his arguments referred to i) S.C. Johnson & Son, Inc. v. Buchanan Group Pty. Ltd., ii)Hindustan Pencils Pvt. Ltd. v. India Stationery Products Co. ILR (1989) I Delhi 115, iii) judgment dated 31st January, 2014 in RFA (OS) No. 50/2008 titled Hindustan Unilever Ltd. v. Reckitt Benckiser (India) Ltd., and, iv) Lakhanpal National Ltd. v. M.R.T.P. Commission (1989) 3 SCC 251. 28. Mr. Abhinav Vasisht, Senior Advocate also appearing for HUL, during his arguments referred to i) Dabur India Ltd. supra, ii) Marico Ltd. supra, iii) Colgate Palmolive Co. iv) Havells India Ltd. supra, v) Philips India Pvt. Ltd. supra, vi)Glaxosmithkline Consumer Healthcare Ltd. supra, and, vii) judgment dated 14thMarch, 2014 titled Reckitt Benckiser (India) Ltd. v. Hindustan Unilever Ltd..
29. The plethora of case law aforesaid would demonstrate that of late, the producers/manufacturers of consumer goods, particularly the fast moving consumer goods have become rather sensitive to the advertisements of their competitors comparing the two products and the Courts are being regularly approached for reliefs of injunction and damages from disparaging advertisement. 13. The Division Bench of this Court in Pepsi Co. Inc. (supra) held that a tradesman by comparison cannot slander or defame the goods of the competitor nor call them bad or inferior. Thus comparative advertising is permissible as long as while comparing own with rival/competitors product, the latter's product is not derogated, discredited, disgraced, though while comparing some amount of ‘showing down’ is implicit; however the same should be within the confines of De Beers Abrasive supra and should not be of a slighting or ‘rubbishing’ nature. (1) The intent of the advertisement — this can be understood from its story line and the message sought to be conveyed. (2) The overall effect of the advertisement — does it promote the advertiser's product or does it disparage or denigrate a rival product? In this context it must be kept in mind that while promoting its product, the advertiser may, while comparing it with a rival or a competing product, make an unfavourable comparison but that might not necessarily affect the story line and message of the advertised product or have that as its overall effect. 15. McDonalds Hamburgers Ltd. v. Burgerking (UK) Ltd.  F.S.R. 112 followed in Glaxosmithkline Consumer Healthcare Ltd. v. Heinz India held that advertisements are not to be read as if they were some testamentary provision in a Will or a clause in some agreement with every word being carefully considered and the words as whole being compared. Heinz India further held that in determining the meaning of the impugned advertisement, the Court has to take into account the fact that public expects a certain amount of hyperbole in advertising and the test to be applied is whether a reasonable man would take the claim being made as one made seriously and will have to take it with a large pinch of salt. In the facts of that case, the use of the term ‘cheap’ in relation to the competitors' product was held to be disparaging. However a claim that the Horlicks boy is taller, stronger and sharper as opposed to the Complan boy was held to be not disparaging. It was held that a trader was entitled to advertise that his product has a cost or price advantage over the rival's goods as long as it is accurately done (it may be mentioned that the plaintiff has not controverted the Oryzanol content and the price of the products as depicted in the impugned print advertisement). It was further yet held that showing the Horlicks boy to be stronger, taller and sharper in comparison to the Complan boy was at best an instance of puffing. It is worth highlighting that it has also not been the plea or argument of the plaintiff in the present case that the claims in the advertisement of the defendant, of the requirement by the human body of 300 mg of Oryzanol daily or of the average daily consumption in India of edible oil being 33 grams, are false. (a) A tradesman is entitled to declare his goods to be best in the world, even though the declaration is untrue. (b) He can also say that his goods are better than his competitors', even though such statement is untrue. (c) For the purpose of saying that his goods are the best in the world or his goods are better than his competitors' he can even compare the advantages of his goods over the goods of others. (d) He however, cannot, while saying that his goods are better than his competitors', say that his competitors' goods are bad. If he says so, he really slanders the goods of his competitors. In other words, he defames his competitors and their goods, which is not permissible. 31. Colgate Palmolive Company supra; Havells India Ltd. supra, Philips India Pvt. Ltd. supra and RFA (OS) No. 50/2008 titled Hindustan Unilever Ltd. v. Reckitt Benckiser (India) Ltd. supra though of a date subsequent to Marico Ltd. supra, do not change the position. 32. Supreme Court, in Tata Press supra invoked in Dabur-Colortek supra in the context of disparaging advertisements also held that (a) advertising is the cornerstone of our economic system; low prices for consumers are dependent upon mass production, mass production is dependent upon volume sales and volume sales are dependent upon advertising; (b) that advertising is also the life blood of free media, paying most of the costs and thus making the media widely available; without advertising, the resources available for expenditure on the news would decline which may lead to erosion of quality and quantity of the news; and, (c) that advertising is also dissemination of information regarding the product advertised and public at large is benefitted by the information made available through advertisement and that in a democratic economy free flow of commercial information is indispensable and public at large has a right to receive the commercial speech. 33. I may also add that disparagement of competitor's goods including while advertising own goods, as aforesaid, is but a facet of the law of defamation. The law of defamation which was evolved to protect the reputation of a person and which is of immense value to that person, with the goods/brands also acquiring reputation and often having more value than the reputation of the person making or producing the said brand of goods, has been extended to protect the reputation of goods/brands. 34. Supreme Court recently in Subramanian Swamy supra was concerned with a challenge to the vires of Sections 499 and 500 of the Indian Penal Code, 1860 constituting defamation as defined therein as an offence, on the ground of the same being violative of Article 19(1)(a) of the Constitution of India. Negativing the challenge, Supreme Court held (i) that while in a democracy, an individual has a right to criticize and dissent but his right under Article 19(1)(a) is not absolute and he cannot defame another person as that would offend the victim's fundamental right to reputation which is a facet of Article 21 of the Constitution and one fundamental right cannot be given higher status in comparison to the other and what is required is proper balancing of the two and harmonious construction in light of objective of fraternity and fundamental duties envisaged under Article 51A(e) and (j) of the Constitution; (ii) that Article 19(2) envisages “reasonable restrictions”; right to say what may displease or annoy others cannot be throttled; (iii) that there can be no cavil that the right to freedom of speech and expression is a right that has to get ascendance in a democratic body polity but at the same time the limit has to be “proportionate” and not unlimited; (iv) that the restrictions should not be excessive and should be in public interest; (v) the test of reasonableness cannot be determined by laying down any abstract standard or general pattern—it would depend upon the nature of the right which has been infringed or sought to be infringed and the ultimate impact i.e. the effect on the right has to be determined; (vi) that the principles of proportionality of restraint are to be kept in mind by the Court. 35. Notice may also be taken of Shreya Singhal v. Union of India (2015) 5 SCC 1which was concerned with the challenge to the vires of Section 66A of the Information Technology Act, 2000 on the ground of being violative of Article 19(1)(a) of the Constitution of India. It was held (a) that the fundamental right of freedom of speech and expression requires free flow of opinion and ideas and an informed citizenry is a pre-condition for meaningful governance and the culture of open dialogue is generally of great societal importance and the ultimate truth is evolved by free trade in ideas in a competitive marketplace of ideas; (b) that it is only beyond a certain threshold that Article 19(2) is kicked in; and, (c) that wider reach and range of circulation over internet cannot justify restriction of freedom of speech and expression on that ground alone and that virtues of electronic media cannot become its enemies. 36. Before proceeding further, it is also necessary to discuss, what is ‘defamation’. Any word will be deemed defamatory which, either expose the plaintiff to hatred, contempt, ridicule or tend to injure him in his profession or trade or cause him to be shunned or avoided by his neighbours. The test is, whether the words tend to lower the plaintiff in the estimation of right thinking members of society generally. In applying this test, the statement complained of has to be read as a whole and the words used in it are to be given their natural or ordinary meaning which may be ascribed to them by an ‘ordinary man’. The ‘ordinary man’, after reading a writing does not contemplate reading it again and again for deriving its meaning. So the meaning of words in a libel action is a matter of impression as an ordinary man gets on the first reading, not on a later analysis (Hayward v. Thompson (1981) 3 All ER 450 (CA) and Telnikoff v. Matusevitch (1991) 4 All ER 817). This was held to be the case also for viewer of television who receives a succession of spoken words and visual images which he is unable to have repeated for the purpose of reflection or clarification (Channel Seven Adelade Pty Ltd. v. Manock (2007) 82 ALJR 303). The question is not of construction in the legal sense, for the ordinary man is not inhibited by a knowledge of the rules of construction and he can and does read between the lines in the light of his general knowledge and experience of worldly affairs. (Lewis v. Daily Telegraph Ltd. (1963) 2 All ER 151 (HL)). 37. Of course the exposure of the viewer of television, unlike a programme telecast, to the TVC is repeated, with some of the TVCs acquiring iconic status and becoming subject of discussion in the society. However mostly, the viewers of television, as the viewers of cinematograph films in a cinema theater, are interested not in viewing the advertisements but in viewing the programmes on the television as those who have gone to the cinema theater to watch the cinematographic film and not the commercials. Often the commercial breaks in television programmes are utilized by the viewers to complete their household chores or as conversation breaks with little attention paid to the TVCs. Such is the despise for TVCs that the legislature had to step in and the Standards of Quality of Service (Duration of Advertisements in Television Channels) Regulations, 2012 limit the time for which the TVCs can be shown. New television channels are attracting the viewers with a promise of showing the programmes uninterrupted by TVCs. 38. In applying the test, whether the words spoken or written are defamatory or not, the impact thereof on the ordinary man is to be determined i.e. whether owing thereto, in his esteem, the person/goods referred to would fall. In such determination, who has spoken the said words, acquires significance. An ordinary person attributes different meanings to the same words coming from different persons. Thus, in assessing whether the words are defamatory or not, the weightage which the person to whom the said words are addressed, attaches to the words of the speaker/author, acquires significance. I have wondered what weightage an ordinary person attributes to the words or to the advertisement of a competitor whose interest lies in promoting its own goods vis-à-vis of other's and whether such words/advertisements change the opinion of the ordinary person qua the goods of another. 39. To my mind people generally recognise advertisements for what they are: sales talk. A comparison by trader ‘A’ of his goods with those of trader ‘B’ will not be accepted by the public as the last word on the relative merits of the two products; it will be seen as an attempt by trader ‘A’ to make more money. If the public are gullible enough to fall for trader ‘A's’ sales campaign, trader ‘B’ can easily counter with one of his own and the man with better campaign wins until the public finds out how bad his product really is. This is what fair trade competition is all about. 40. Comparative advertising, in my opinion is perceived as less credible and more aggressive or unfair than the other modes of advertising. Thus the weightage given by the ordinary man, qua whom the test of defamation has to be applied, is very little if not insignificant to comparative advertising. Only when the party making the statement is not a trade rival or the statement is made in such a way or in such circumstances that it might well be taken by the reasonable consumer to be authoritative and reliable statement of fact or possible expert opinion, instead of as mere puff or sales-talk, is it capable of changing the opinion of the consumer about any goods. 41. That raises the further question, what, the ordinary consumer considers authoritative or reliable, even if coming from a competitor; would result of a laboratory test got done by a competitor, finding its product to be superior, be considered authoritative and reliable, capable of changing the opinion of the customer. 42. The publication titled “Comparative v. Noncomparative Advertising: The Moderating Impact of Prepurchase Attribute Verifiability” in the Journal of Consumer Psychology 9(4), 201-211 authors (i) that comparative advertising is counterargued (i.e. message refutational thinking and which leads to lesser acceptability of the message) more than noncomparative advertising; (ii) that the consumers casually reason with themselves and are able to explain the agent's motivation behind the persuasion attempt and having arrived at casual explanations for the agent's actions, consumers use various coping strategies in trying to hold valid attitudes; (iii) that the consumers have a knowledge of a persuasion attempt is being made and the advertiser's intent; (iv) that the attributes of the product which the consumer can determine by inspection prior to purchase of the brand are called as ‘search qualities’ and attributes/qualities of the product that are determined only after purchase are called the ‘experience qualities’; (v) that search attributes can be determined by consumers prior to purchase and use and also where the cost of verification is negligible; (vi) per contra, experience attributes cannot be determined prior to purchase, consumption and a brand must be used before a experience claim can be evaluated; (vii) that the consumers are more skeptical of experience attribute claims than they are of search attribute claims; (viii) that the consumers are led to perceive the advertiser's motivation behind the claim; (ix) that the consumers' personal benefits and costs impact the perception of fairness associated with a persuasion tactic; (x) that the comparative advertisements are inherently more involving than noncomparative advertisements because impact of the contrast on believability is mediated by counterargumentation. 43. In another Research Dialogue titled “Free Will in Consumer Behavior: Self-Control, Ego Depletion, and Choice” published in the Journal of Consumer Psychology 18 (2008) 4-13, it has been observed that the complexity of action control in a seemingly ordinary shopping trip reveals a level of action control; there may be a shopping list, which is a written compilation of items to purchase that is based on checking current inventory of possessions against anticipated needs and wants; that advertisements may have been consulted to find bargains and in the store one may calculate what offers the best value for the money; that the amount of money to be spent itself involves some complex calculations and rules of thumb e.g., impulse purchases up to a particular cost are acceptable; that information may be acquired along the way; that multiple steps may be integrated based on various contingencies like visit to the shoe store before the grocery store (because ice cream may melt); that accumulated knowledge of cultural conventions may be used. 44. As per another publication titled “Disparagement as a Processing Stimulus For Humor in Advertising” published in IBT Journal of Business Studies Volume II, No. 1, (Spring 2015) 82-101, it has been opined that comparing a low share brand with high share brand creates more brand awareness and when a high share brand is compared with another high share brand, the attention level increases. 45. In another Conference Paper titled “Is Naming Your Competitor In The Comparative Ad A Good Idea? The Effects of Typicality and Alignability” published in Researchgate, the researchers have found that when a comparative advertisement uses a typical attribute to compare, it is more likely for consumers to be involved in analyzing the comparison thoughtfully and having a piecemeal review of product attributes. It was explained that piecemeal information processing occurs when existing knowledge stored in memory is accessed to engage in a more extensive processing of a stimulus on an attribute-by-attribute basis; it was also found by the researchers that compared brands create counter-argumentation in the minds of the consumers. Per contra, direct comparative advertisements with atypical attributes will not be able to decrease or worsen consumers' evaluation about the compared brands as they do when the compared attributes are typical. 46. Another researcher in “Comparative Advertising in the United States and in France” 25 Nw. J. Int'l L. & Bus. 371 2004-2005 has inter alia authored that U.S. law only prohibits false statements of fact, as opposed to statements of opinions—A statement of fact is a specific and measurable claim, capable of being proved false or of being reasonably interpreted as a statement of objective fact; by contrast, when an assertion is obviously a statement of opinion, it cannot reasonably be seen as stating or implying provable facts; such opinion-type statements are commonly referred to as “puffery” and are not actionable as false comparative advertising because reasonable consumers could not believe these statements to be assertions of fact. It was further opined that generally, puffery has four characteristics: it is general and vague; it makes a claim that is immeasurable, unquantifiable or unverifiable; it is presented as a subjective statement and it is the kind of claim upon which consumers are unlikely to rely. It was yet further authored that though consumer information is the primary concern of U.S. Courts, consumer welfare remains the criterion, or the relevant policy norm and the decisions of the U.S. Court rest on the premise that the purchasing public is, for the most part, rational, reasonable, and sophisticated enough not to believe vague, general, and subjective statements. U.S. consumers were authored to be capable of not taking all advertisements seriously and understanding their source and limitations. U.S. Courts were also authored to be deciding from the point of view of a reasonable consumer who is attentive, mature, and critical and who does not rely solely on the advertisement but critically perceives the information given, carefully evaluates and analyzes its content and meaning and finally bases a rational decision on such analysis—though he is not a knowledgeable, sophisticated, or highly-educated consumer. 47. The Division Bench of this Court also in Hindustan Unilever Limited v. Reckitt Benckiser India Limited supra observed that Judges should have regard to the impression the article has made upon them themselves in considering what impact it would have made on the hypothetical reasonable reader. It was observed that when the TVC is displayed, it is not scrutinised in every detail by the consumers and the Court should be cautious on over elaborate analysis of the material in issue. 48. Mention may lastly be made of Dabur India Ltd. v. Wipro Limited 129 (2006) DLT 265 holding that in comparative advertising one consumer may look at TVC from a particular point of view and come to a conclusion that one product is superior to the other, while another consumer may look at the same TVC from another point of view and come to a conclusion that one product is inferior to the other. It was held that disparagement of a product should be defamatory or should border on defamation and a manufacturer of a product ought not to be hyper-sensitive in such matters and it is necessary to remember that market forces are far stronger than the best advertisements. It was held that if a product is good and can stand up to be counted, adverse advertising may temporarily damage its market acceptability, but certainly not in the long run. 49. Vodafone Group Plc v. Orange Personal Communications Services Limited(1997) F.S.R. 34 referred to in the plethora of judgments aforesaid also observes that public are used to advertisers claiming the good points of a product and ignoring others and public is reasonably used to comparisons and this aspect is important in considering what the ordinary meaning of advertising may be i.e. whether a reasonable man would take the claim being made as one made seriously. It was also observed that the same words may be understood by one man in a different meaning from that in which they are understood by another and both meanings may be different from that which the author of the words intended to convey. 50. The High Court of Australia in Roberts v. Bass was concerned with a claim for damages for publication of false and defamatory matter in the course of State election. The trial Judge as well as the Full Court of the Supreme Court of South Australia awarded damages. It was held by the High Court in appeal, that targeting an election candidate is not improper, it is part of legitimate political struggle. In Publication titled “Consider the Source: Variations in the Effects of Negative Campaign Messages” in Journal of Integrated Social Sciences, 2011-2(1):98-127 is also it has been authored on the basis of studies that people interpret statements differently, depending on who is making them; when it comes to candidates delivering their campaign messages, there are reasons to expect voters to find them less than credible—this is because people tend to search for motivation in the action of others; with candidate-based negative messages, the messenger is a distinct individual whose motives can be questioned; these motives will influence the interpretation of their statements and action. In my opinion, the same principles apply to claims in advertising of one of the several products/goods available in the market. The claims in the advertisement of the own product being better or of the competitor's product being less effective or not effective being “paid for persuasive communication” from a source with an agenda advancing its own interest is less effective on the ordinary man/consumer than the very same information offered in the news. 51. The result of a laboratory test, relied on in the advertisements to claim own goods/products to be superior, also in my opinion are not treated by the ordinary man/consumer as authoritative. Supreme Court in Gulzar Ali v. State of Himachal Pradesh (1998) 2 SCC 192 observed that there is a natural tendency on the part of an expert witness to support the view of the person who called him and that man who was called expert, ultimately turns out to be remunerated witness making himself available on hire to pledge his oath in favour of the party paying him. A. All the advertisements fall in the genre of ‘Comparative Advertising’ which permits comparing own product with that of competitor's and calling own superior/better than competitor's. B. A manufacturer or marketeer of goods which are but one of the several choices available to the consumer is necessarily required to approach the consumers, whether directly or through the TVCs or through any other modes available, to demonstrate why the consumer, instead of several other choices available, should avail of his goods. To hold that he is not, would curb competition and put fetters on the fundamental right to commercial speech without authority of law. The Central Government authorized by Section 22 of the CTN Act to draw up an Advertising Code has in the Advertising Code contained in Rule 7 of the CTN Rules not put any such fetters. The Advertising Code of ASCI incorporated therein permits comparative advertising “in the interest of vigorous competition and public enlightenment”. The only fetters which are placed therein are that there should be no likelihood of the consumer being misled as a result of the comparison and the advertisement does not unfairly denigrate, attack or discredit other products directly or by implication. However while assessing the said factors, the law of defamation would apply. C. Applying the dual test of (i) balancing the fundamental right of advertiser under Article 19(1)(a), with the Constitutional right of the competitor under Article 21 to reputation of his goods; and (ii) the test of proportionality, the advertisement/s in neither of the three suits is found to be defamatory or having the impact of changing the opinion of the ordinary man/consumer to the prejudice of the plaintiff in the suit. D. The advertisements inform the citizenry how different brands of shampoo can have different impact on hairfall/hair breakage and on dandruff, leading to a informed citizenry capable of making a meaningful choice and resulting in consumer interest and welfare. E. Disparagement claimed is with respect to shampoo sold in sachets. Each sachet is for one head wash. The consumer of shampoo in a sachet is thus not burdened with use of the same shampoo, wash after wash. A consumer of shampoo in sachet is more likely to experiment than a consumer of shampoo in bottles/containers. Such a consumer who can change the shampoo with every head wash, even if after viewing the advertisement and being swayed thereby opts for the other brand, if does not find the benefit claimed in the advertisement, would revert to the earlier. The market forces would prevail in the long run. F. To prevent a manufacturer/marketeer of such goods from enlightening the consumer of these factors/considerations and if indeed has an edge over competitor's product, from publicly claiming the same for the reason of the competitor suffering therefrom, would amount to curbing competition and would be an unreasonable fetter on the fundamental right to commercial speech. G. The right to protect own reputation, which is the genesis of the law of defamation, is not to be misunderstood as right to be not spoken against or right to be not criticised for own shortcomings. H. A product in the market is like a public persona who from the mere fact of being in the public glare opens himself to discussion and views and just like such a person cannot prevent the members of public or other public figures, against whom his interest may be pitted, from expressing their views of him, so is the case of such a product in the market. I. The plaintiff in each of the suits has filed the suit gauging its own understanding of the advertisement/s impugned and not the impact thereof on the ordinary man/consumer. None of the advertisements, applying the aforesaid principles, are found to be lowering the esteem in which the product of the defendant, in each suit, is held by the ordinary man/consumer. These are also cases of hyper-sensitive plaintiff. J. We, today, have a vigilant consumer, aware of his rights and who, armed with the laws for his protection from false claims in advertising, is requiring the producers/manufacturers also to be cautious in making the same. In the face of such consumer law developments, reliefs for disparaging advertising have to be restricted to gross cases. K. The claims in the impugned advertisements of, “mazbooti de behtar” or of, from use of other “baal zyada tutte hain” or of, the other shampoo “dandruff nahi nikalta, ek, do, teen washes mein bhi nahin” or of, own shampoo “zyada dandruff hataye” or of, “anti-dandruff shampoo can damage your hair” are mere statements of opinions or statements of experience attributes of paid protagonist in the advertisements and not statements of fact and which as aforesaid are statements of puffery. Such statements are immeasurable, unquantifiable and unverifiable and are by their very nature subjective and on which the consumers, as aforesaid, do not rely. L. I had during the hearing enquired from the counsels whether not the hair loss or hair breakage while washing hair or effect on dandruff varies from person to person and at different ages of the same person. It was further enquired whether not the hair of each person are different and the same shampoo may have a different effect on different scalps and hair. The counsels could not refute the same. M. Such claims in the impugned advertisements, are “search attributes” which though may lead the consumer to search for qualities claimed in the advertisement in another product but ultimately, after the consumer has used/consumed the other product, the “experience attributes” of the consumer himself would prevail. I highlight that the product with which these suits are concerned is a single use low cost product required by the consumer repeatedly, week after week, if not day after day, making it possible for the consumer to experiment. The advertisements thus are incapable of unreasonably affecting the marketability in the long run of the product of the plaintiff in each suit. The publication titled “The Interaction of Advertising and Evidence” in The Journal of Consumer Research, Vol. 11, No. 3 (Dec., 1984), pp. 763-770, on the basis of studies carried out, reports that the effect of advertising on mental states like purchase intention or belief about product attributes may depend not on immediate acceptance of advertised propositions but on a confirmatory diagnosis of product experience. The law of disparaging advertisement does not extend to preventing the competitor from poaching own consumer or to deprive the own consumer from experiencing the goods of the competitor. N. Clinic Plus is also not found to have been disgraced because of being called “ek rupaye wala shampoo” against Head & Shoulders being “teen rupaye wala shampoo”. Economics tells that this price difference must be having a major contribution in making Clinic Plus the largest selling shampoo. In the entirety of the scheme of the advertisement, such words are not defamatory. O. Though I have not come across any study done on the aspect in Indian market but have no reason to hold the studies cited above to be not applicable. The Indian consumer, if not more, is equally alert as the consumers on whom behavioral studies cited above were conducted. 53. The plaintiff in none of the suits is thus entitled to interim injunction restraining the defendant in the suit from airing the impugned TVC/s. The ad-interim injunction in CS(OS) No. 459/2016 is vacated. 54. I have further considered whether the defendant HUL in CS(OS) No. 459/2016 is entitled to be restituted in any way for the ad-interim injunction which remained in force and is today vacated. I find no need therefor since it has emerged that the parties were indulging in ‘reciprocal advertising’. Though it was argued that sales of HUL had dipped but the same can be attributed to a variety of reasons and difficult to be attributed to the advertisement alone. Moreover, I have hereinabove held the subject advertisements to be incapable of influencing the choice of the consumers. 55. I have further considered whether to now post the suits for trial, but am of the view that no evidence led can impact the opinion aforesaid. Though during the hearing counsels contended that the test reports of the laboratories will be proved in trial, but even if proved cannot be determinative. As already observed above, experts are always pitted against each other and the reports are nothing but opinions on tests conducted in controlled environment. The report can thus not be determinative of effect of shampoo on all consumers. Ultimately this Court, on the material before it has to decide and which I have already done. Similarly, the statements of witnesses, of being influenced or not being influenced by the advertisement also do not serve any purpose. Supreme Court in Mahendra & Mahendra Paper Mills Ltd. v.Mahindra & Mahindra Ltd. (2002) 2 SCC 147 followed by the Division Bench of this Court in Larsen & Toubro Ltd. v. Lachmi Narain Trades (2008) 149 DLT 46 held in the context of infringement of trademarks that whether there is likelihood of deception or confusion is a matter for decision by the Court and no witness is entitled to say whether the mark is likely to deceive or to cause confusion. The Court thus has to rely on its own experience and understanding of human nature in drawing reasonable inferences about the reactions of consumers to the challenged advertisements. 56. I have also wondered whether the Courts, on detailed enquiry/trial, are to issue a certificate to one shampoo, certifying it as giving “zyada mazbooti to baal” or to another as causing “zyada tootna of baal” or to one of “causing damage to hair” and another of “dandruff nahi nikalta”. That is the enquiry to which the Court would be put to, if carries there suits to trial. In my opinion, neither are the Courts equipped therefor nor is that the role of the Courts. If the Court is to commence investigating the correctness of the reports of the experts relied upon by the rival competitors in support of their claim of superiority of own goods, the Courts would be converted into laboratories determining the comparative merits of rival products. Lord Herschell L.C. as far back as in White v. Mellin (1985) AC 154 observed that if the doors of the Courts were to be opened to injurious, falsehood action based on dishonest comparison of goods, the Court would then be bound to enquire whether this ointment or this pill better cures the disease which it was alleged to cure - whether a particular article of food in that respect was any better than the another, turning the Courts into machinery for advertising rival products by obtaining a judicial determination, which of the two was better. The nature of the suits thus does not merit trial. 57. Resultantly, all the three suits have to be dismissed and are dismissed. 58. The parties being at par, no costs. 59. Decree sheet be drawn up.